​Exploring Maps and GlobesWe are exploring different ways to represent Earth on maps and globes. The globe is the most accurate representation of the Earth. To make a sphere into a flat shape for a map, there are many challenges that cartographers have to work with. Mapping Our World - Three Online Globe Exploration ActivitiesWork with your partner on the three "Mapping Our World" activities. Make sure to answer the four questions after each activity in your social studies notebook. Remember to write in complete sentences! You must finish the questions for each activity before moving on to the next activity. ​This is a 'net' for a sphere. Look at how it looks like a lot of connected petal shapes. Explore this link to learn how to make your own "Tudor Globe." This is what a map ('projection') would roughly look like if we cut a spherical globe into segments ('gores') to flatten it for a piece of paper. Below, you can see the process of making a spherical globe using a flat piece of paper cut into "petals" called gores. Here are instructions to draw a globe onto an orange peel. Can you imagine how you could make a flat projection using the orange peel? 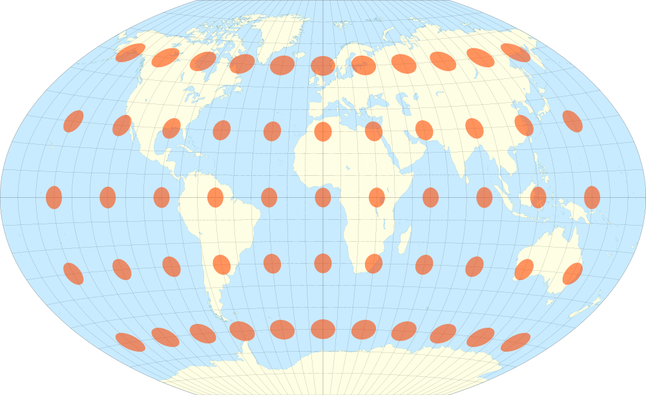 Instead of centering the segments on the equator like in the projections above, you can also create a projection centered on the poles. This is called a 'Flower Petal' projection. ​A sinusoidal projection shows relative sizes accurately, but grossly distorts shapes. Distortion can be reduced by 'interrupting' the map. ​A Winkel Tripel projection of the Earth. 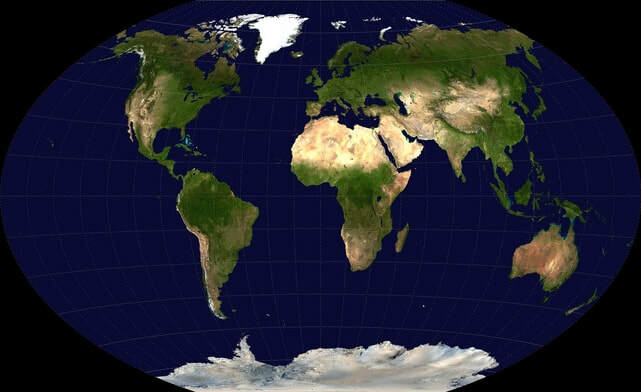 In 1998, the Winkel Tripel projection replaced the Robinson projection as the standard projection for world maps made by the National Geographic Society. Many educational institutes and textbooks followed National Geographic's example in adopting the projection, and most of those still use it. This map shows the amount of distortion on the Winkel Tripel projection.